R and I had lunch at Zuni Cafe today with Renee and Yasu. We literally all got the hamburger, and I have to say that it may have been the best hamburger I've ever had. Cooked medium and served on focaccia, this burger was juicy, tasty, and completely balanced. The gruyere I added was perfect. 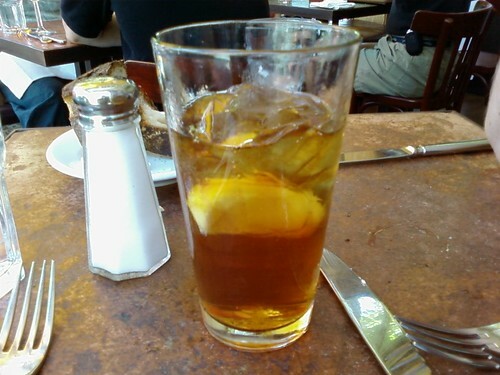 Oh, and I had iced tea. Of course.